So glad you are taking good care of yourself. These are just lovely! The colors are so summer. Thanks Amy- yes I was inspired with the colors since it is summer! I love the idea of a crocheting a blanket while recovering. 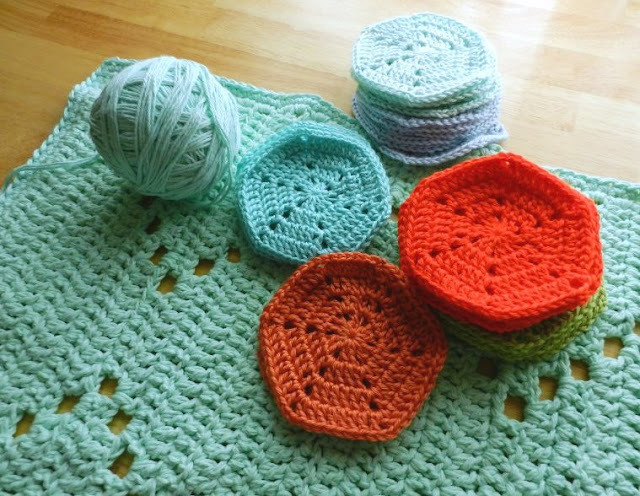 I may have to learn how to crochet. My grandmother tried to teach me a few years ago but it was a total failure. Crocheting is the perfect recovery craft for me. It can be a little frustrating until you get the hang of it, but once you do, it's actually relaxing once you do. My grandmother taught me the basics and then I forgot about it until many years later. 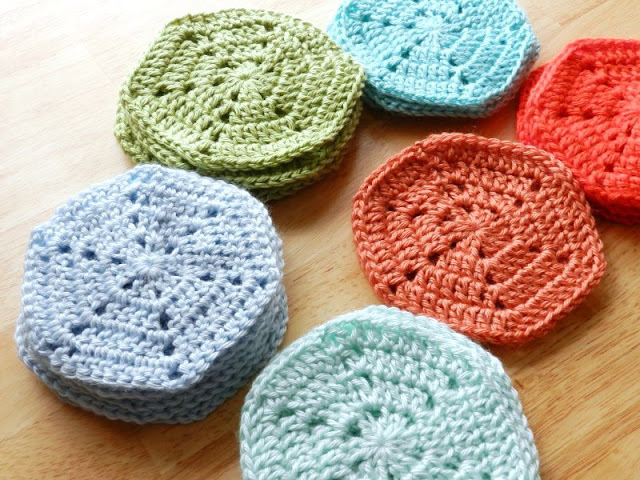 Love those hexagons they are so pretty. These are so pretty! I enjoy crocheting, but I only know a few stitches and can't really follow a pattern very well. 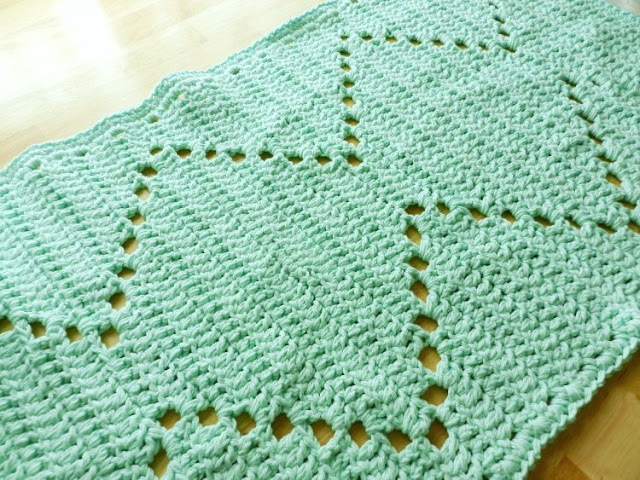 Way back when, I used to crochet baby blankets for my friends when they had babies--rows and rows of double crochet! And not very straight... Still pretty though! I think I need to pick up a crochet needle again. Thank you for sharing and inspiring. Thanks for commenting Pam! 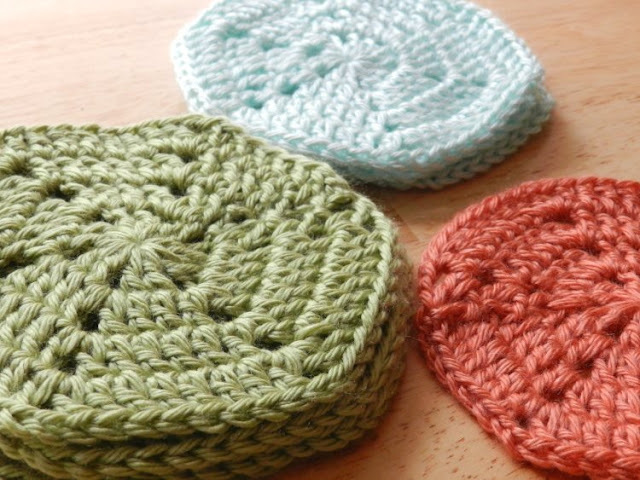 I like crochet the best when I already have the pattern down in my mind and I don't have to refer to anything written. Just put it on automatic and go!